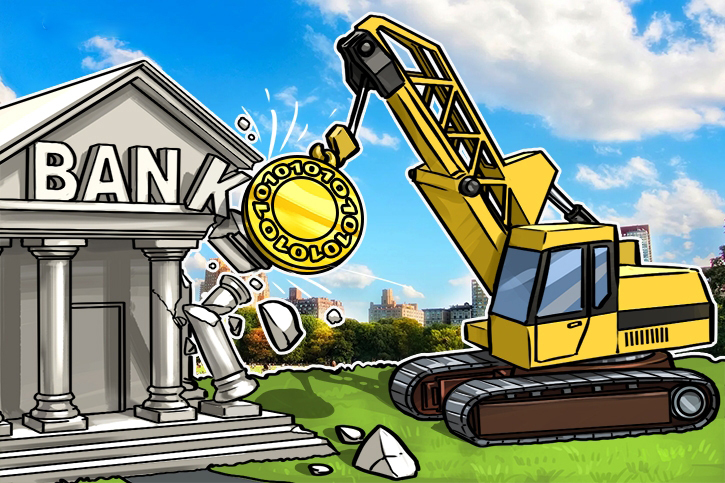 On Feb. 19, Jameson Lopp, the lead engineer at multi-signature Blockchain security firm BitGo, noted that during a holiday in the US, local banks closed down, failing to provide financial services to individuals and businesses that could be in urgent need of financial settlement services to process payments. Meanwhile, Bitcoin, as a peer-to-peer (P2P) settlement system, was able to process over $1 bln worth of transactions, and more than $7 bln worth of Bitcoin was traded on a single day. Regardless of holidays and weekends, users of Bitcoin and other cryptocurrencies like Ether can freely transact on a peer-to-peer basis, through the utilization of wallets. Non-custodial cryptocurrency wallets enable users to remain in full control over their funds, by only allowing users to gain access to their private keys and no other centralized entity or platform. As such, Bitcoin wallets like Blockchain, Trezor and Ledger cannot refund transactions or recover user accounts once the private key is lost, encouraging users to be more financially aware and responsible. As emphasized by Bitcoin analyst and RT’s Keiser Report host Max Keiser on several occasions, financial freedom and independence provided by Bitcoin and other cryptocurrencies in the market are largely beneficial and crucial for individuals and businesses operating in regions wherein government entities control banks and financial institutions. Last year, Saudi Arabian billionaire Prince al-Waleed Bin Talal was arrested by the government of Mohammed Bin Salman, who is expected to take control over Saudi Arabia and become its ruler, as the most powerful figure in the Middle East. The government of Salman initiated an anti-corruption purge, arresting 11 Saudi princes and 200 businessmen. At the time, The Wall Street Journal reported that the government of Saudi Arabia had asked $6 bln for the freedom of Bin Talal, who has garnered a net worth of over $25 bln from his investments in Twitter ($300 mln), CitiGroup ($550 mln), AOL, Apple, MCI, Motorola, Fox Broadcasting and many more. “It just doesn’t make sense. This thing is not regulated, it’s not under control, it’s not under the supervision of any central bank. I just don’t believe in this Bitcoin thing. I think it’s just going to implode one day. I think this is Enron in the making,” said Bin Talal on CNBC’s Squawk Box. In November 2017, the Saudi government cracked down on private bank accounts and froze the accounts of prices and businessmen. Keiser noted that could have been avoided if the wealth of these individuals were stored in a decentralized store of value, like Bitcoin. The offshore banking industry, which is dominated by influential financial institutions like JPMorgan, is structured around large banks that are able to clear big sums of money in an efficient and secure manner. But, the transfer of millions to billions of dollars require significant manual labor including transaction verification, Anti-Money Laundering (AML) checks and payment clearing. “Cryptocurrency is trying to be the offshore banking system, I think. At least some of the cryptocurrencies. Most of the financial luminaries, I think genuinely, don’t understand what it’s trying to be. Jamie Dimon is an exception. By all accounts, I know people who spoke to him about cryptocurrency four years ago before I was really in the space. He understands it. I think he sees it as a competitor against JPMorgan,” said Paul during an interview with Business Insider. Regarding transaction settlement, offshore banking, and financial freedom, centralized systems of banks fall significantly behind major cryptocurrencies, which can offer all three services with low costs and a robust infrastructure. Conclusively, cryptocurrencies like Bitcoin and Ethereum have significant advantages over banks in a number of areas, including security, borderless transaction settlement, efficient payment clearance, and lack of dependence on centralized service providers or entities. Although the offshore banking industry is valued at $32 tln and the valuation of the cryptocurrency market remains below half a trillion, the above-mentioned advantages could allow cryptocurrencies to compete against banks across many sectors.